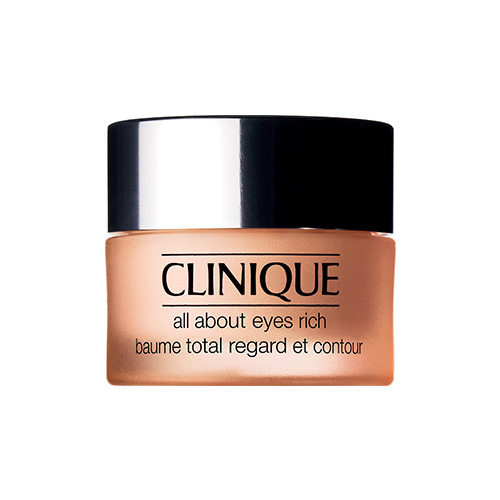 Skin Types: All Moisture-rich eye cream diminishes the look of undereye circles, shadows, fine lines-instantly and over time. De-puffs, calms with botanicals. Helps boost natural collagen production. Strengthens skin's moisture barrier against common irritants. Ophthalmologist tested. How to use: Use morning and night after 3-Step Skin Care System. With ring finger, apply sparingly to entire eye area using a gentle patting motion. Full Size: 15ml Price: PHP 2050 Where to buy: Rustans Makati +632 894 3521 Rustans Shangri-la +632 633 4636 Rustans Alabang +632 850 5532 Rustans Gateway +632 912 9959 Rustans Cebu +6332 231 5633 Clinique Trinoma +632 623 4725 Essenses Rockwell +632 890 6273 Clinique Mall of Asia +632 551 2582 SM Aura Premier +632 703 0363 SM Megamall +632 477 8307 Social Media: Facebook: Clinique PH Twitter: Clinique PH Grab a sample at Sample Room!